Whatever the future may bring, it seems pretty clear that mobile permanent connectivity of some form will be part of it. Just as we might concentrate on listening skills or sharing with YLs to effectively help our learners to communicate, we will need to integrate the teaching of digital literacies with the effective use of new technology. With the above in mind, in January 2012 we began an experimental iPad project at IH Cordoba. 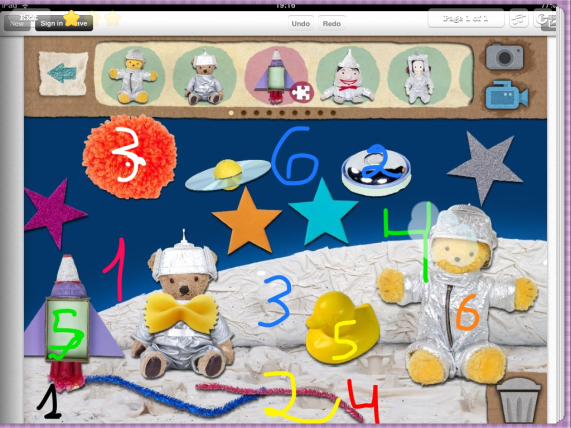 In the first stage of the project there was a team of 4 teachers plus myself using 4 iPads. This was then expanded to 8 with the addition of some members of the admin staff. Recently we’ve bought some mini iPads (slightly less visible in class but they are easier for YLs to handle) for other interested teachers to get involved and further expansion is underway. In the future we would like to do more research into the use of cloud solutions in order to combine more school admin with day to day class tasks. The project has very much been an experimental team effort. The conclusions below are my personal interpretation of just some of our findings. Initially we thought of trialling a variety of tablets, however we felt this could be confusing for sharing our findings as a team. So we chose to use iPads because, at the time, it was the only device that could be projected (using Apple TV). The educational apps still seem to be better and safer (e.g. for YLs) in the App store and we liked the stability and speed of the IOS operating system and also the durability and reuse value of iPads. Educational use of tablets has been undertaken in a variety of ways such as shared class sets; 1:1 (one student per device) or as in our case, we opted for an iPad per teacher. The main reasons for this were price, the personal nature of the device and also benefit of using it for professional development. We also felt that in our school a byod (bring your own devices) policy would work well. There were also a few other considerations – a very good wireless connection is essential and we are currently improving ours by having separate codes for student and teacher use. Synching the iPads is also important as it allows for the sharing of apps and other material through cloud systems. To project to a board, we are using a combination of Apple TV with HDMI projectors, along with AirServer and casing needs to be resilient with screen protectors. We decided against insuring the devices against damage as the cost seemed to outweigh the price of repairs and at present we have no policy regarding personal responsibility for the iPads, although this is under discussion. As with the use of all technology, an AUP (Acceptable Use Policy) should be in place to safeguard responsible use. Particularly when teaching teens and YLs, both staff and students need to be aware of issues such as taking photos and videos without express permission, safe publication online of any work, no sharing of student emails addresses, plagiarism and digital copyright rules. Whatever the policies may be in some countries, the tools being used may be dependent on the laws of the country where they are hosted, and our learners may well be dealing with (either now or in the future), countries which do take the issues seriously. The project has been bottom up in terms of training and we would hope to keep it that way, with people learning at their own pace, gradually expanding the project as current users share their knowledge. In terms of external training The Consultants-e do an excellent mlearning course and IH World has set up an mreading group. Although in our school we will also be doing training sessions for interested teachers and creating a shared ideas bank, we have found that by having the iPads for home use we have discovered individual ways of training ourselves. Firstly it is important to point out that a tablet is not a replacement for a computer. Some functions, such as word processing, using flash-based websites, non-wireless printing, opening various windows/apps at the same time and using a USB port may currently be better performed on a PC. Neither should a tablet be seen as a replacement for a “book on the board” as it is much more than that. However, the SAMR model (substitution-augmentation-modification-redefinition) developed by Ruben R. Puentadura, provides a useful way for us to examine our use of technology, through the consideration of activities regardless of level. Tablet devices lend themselves to the development of tasks at the higher levels through creative and collaborative use. The portability and connectivity of the device means that you can have class audio, video, camera, photos, notes, admin tools, voice recording and the internet all on one handy device. It can also serve as an additional device for students who can’t bring their own or don’t have one, levelling the playing field and softening the blow of not owning one while also making them feel important when the teacher hands their iPad over to them. It is very important to realise there is more to tablets than the apps and that it is also important to bear in mind the apps you use. The best ones for use in the class should encourage creativity and collaboration. When considering which apps to download or buy, it’s useful to be aware of their functions. 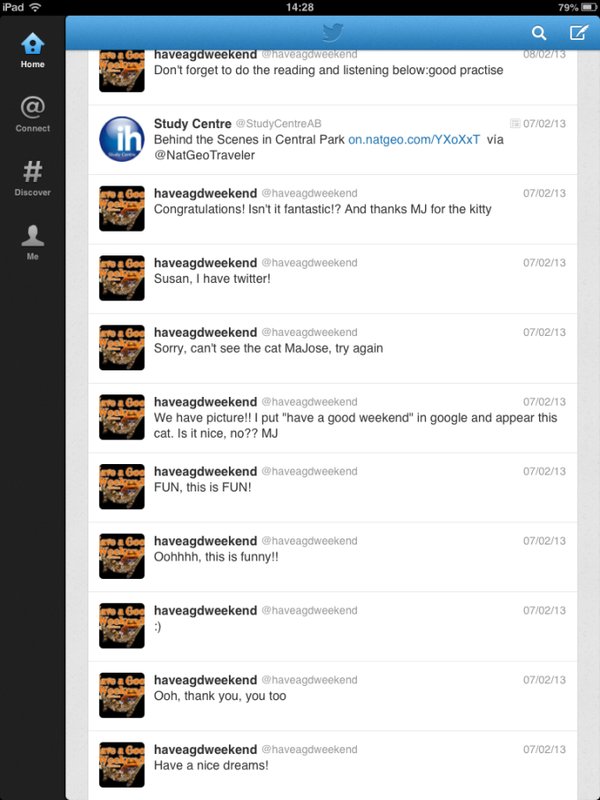 Are they for admin use, for the distribution of student work, for reference, for student self-study, for creating etc? Will they function offline? Are they multi-platform or limited to a specific store, as students may wish to use them on their own mobile devices? Likewise students may not want to pay for an app, so purchasing cost may also be a factor, as is personal preference for one type over another. Most apps also have a web based version. Some of the areas we’ve found apps most useful for are: personal teacher development and training; admin; managing students’ work; gaming; pronunciation and above all for collaborating and creating. Professional development: being able to take the iPads home meant we, the teachers, can try things out, have access to school admin and educational resources, plan lessons, correct and distribute student work. Through apps such as Zite, Flipboard, Twitter there is instant access to the latest news from experts in our field, and they can be personalised to our own areas of interest. Equally there are teacher communities and sharing of classes on apps like Edmodo and Educreations. Admin: for class preparation Idea Sketch and Popplet are useful mind-mapping tools, allowing for presentations which work on a less lineal nature than something like Power Point. Photos can be added to make flashcards. 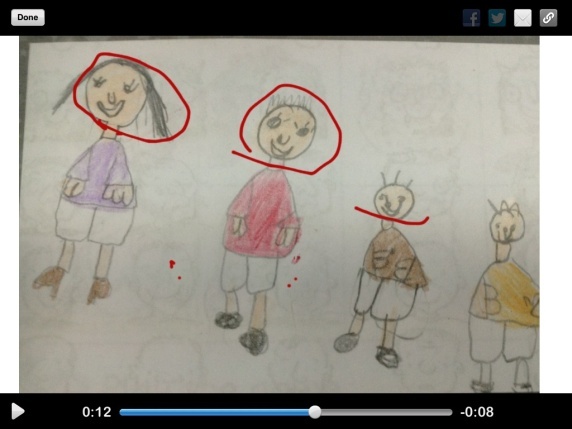 Educreations and Explain Everything are great creative apps. There are several apps for classroom management and Teacher Kit can record attendance, marks collection etc. For those who like behaviour management systems, Class Dojo is greatly enjoyed by YLs. Managing students’ work: Showbie and Edmodo are apps which facilitate the assignment, collection and review of students’ work. In both systems the teacher sets up classes and assigns students a class code and individual code, in this way respecting privacy for both teacher and student. Pronunciation and voice recording: Dragon dictation is an app which transcribes what you say and can therefore help student intelligibility. Quick Voice is a very intuitive handy recording device. Gaming: popular at all levels. YLs, for example, can collaborate to decide on strategies, and the language needed to complete games such as The big fish collection of games and other examples of games we have used are Aces traffic, Spy mouse, Cut the rope, Big Piggies. 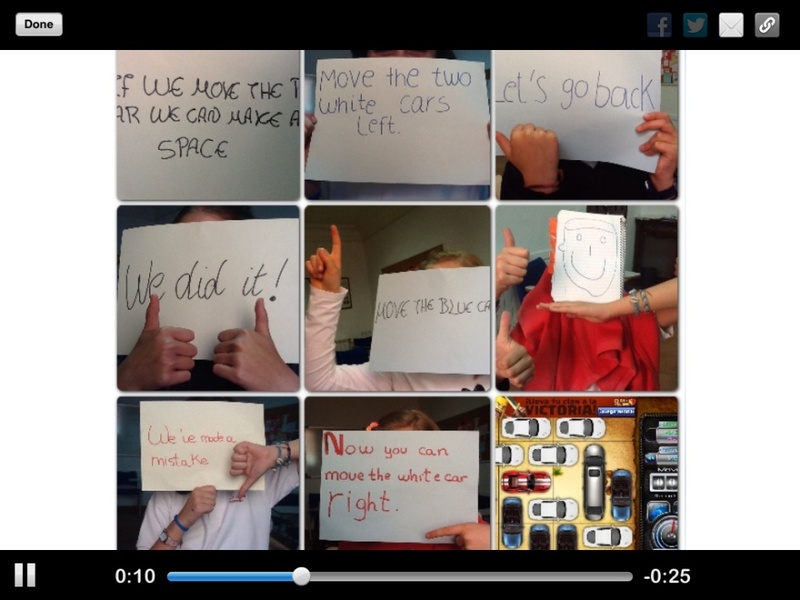 (In photo 1, below, using the InstaFrame and Educreations to take photos of phrases, and record them to play Aces traffic. Note the YLs’ faces do not appear). Scribble Press is just one of many great story making apps. Students work together to write their own ebooks and can then publish them online. The portability and proximity of student creativity with a tablet allows for a greater possibility of inter-group sharing. IH Cordoba teacher Susan’s YLs created some games for my VYL group, using Artmaker, Skitch, and Tinytap. They then came to my class and showed the VYL students how to use the games, and then taught the VYLs how to make their own. (photo 4, below, shows one of the games). More information about this class below. Personally, the use of the iPads has brought about a whole change in my way of thinking and working. Of the many things written about using iPads in class, the following two blog posts best summarise our own findings. Below is a quote from edudemic. “School administrators should be explaining to their constituents that the iPad supports essential skill areas — complex communication, new media literacy, creativity, and self-directed learning. Instead of focusing on the convenience of ebooks, they should instead be emphasizing the incredibly immersive and active learning environment the iPad engenders and the unprecedented opportunities to develop personalized, student-centered learning. They should highlight some of the beneficial consumption, curation, and creativity activities the iPad facilitates — as well as the student empowerment it inspires”. Author’s Bio: Jen has worked at IH Cordoba for over 20 years where she has been working closely with her colleagues in developing the IT department. She has the DELTA, IHCOLT, Cert ICT and mlearning in practice (the consultants-e) courses. She also writes materials mainly for infant and primary.